The memory modules below are 100% compatible with your Panasonic KX-P8415 Printer. Not your model? View the complete range of Panasonic Printers or view all Panasonic upgrades here. 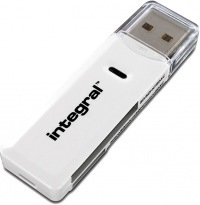 Netgear Inc is a US-based multinational computer networking giant that has offices in over 25 different countries. With its headquarters based in San Jose, California, the company manufactures networking equipment for service providers, retail, businesses, and consumers. The company routinely enjoys an annual revenue in excess $1bn, which is impressive for not least because of the fact that it is only 21 years old. The Netgear product range is quite extensive and includes powerline and wireless ethernet devices that are known for their longevity and simplicity of use. Used to gain access to broadband services and achieve network connectivity, the electronics they produce are as varied as they are complex. The company takes its products to market via more than 30,000 reseller sites around the world, of which most are retail locations. AC1900 Dual Band Wireless Router - Something of a flagship product, as the company primarily focuses on the business and home computer networking sector. Products in this category include a number of wireless and wired router technologies. Netgear ProSAFE - Network switches used in the business sector, which are so reliable that the company offers a lifetime warranty, dependent on continued ownership by the buyer. Dual WAN Gigabit VPN Firewall - An example of the network appliances offered by Netgear to the business sector. This category features wired/wireless VPN firewalls and managed switches. NAS - The shortened form of Network Attached Storage equipment that it sells to consumers and small business, using the ReadyNAS brand. This is one of many storage hardware options offered by the company. Network Security Cameras - Under the name ‘Arlo’, the company offers home security systems including CCTV. Whilst the company has been one of the industry authorities in secure computer networking for many years, the company experienced a problem at the beginning of 2017. It was discovered that there was a weakness that could be exploited by a hacker logging on to the network wirelessly or over an ethernet connection to the router. There were a number of routers affected, which Netgear responded to by issuing steps to add extra security measures and by offering a number of firmware updates to eliminate the problem. This kind of problem is something of an occupational hazard for companies like Netgear and it was a trying time, but as a robust institution with over 20 years of experience in the business and a track record of evolving with the market, it will almost certainly be here in another 20 years time. "Delivered next day - real value for money. Memory card allowed me to repair my old Xerox printer and give it a new lease of life. 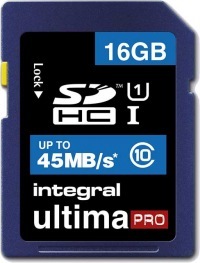 I can’t believe the massive range of memory cards held by this company." "Very good price and very quick to deliver goods." "Fast shippment, good purchase, as described. " "Smooth, easy transaction. Excellent price of needed component. A+ vendor"
"I purchased a 128 MB module for my HP Design jet 500 Plus, fitted it and the results have been remarkable, documents that had to have their resolution severely reduced to print are now produced as intended. I would thoroughly recommend doing such an upgrade and certainly using memory supplied by OFFTEK given their reasonable price and speed of delivery."